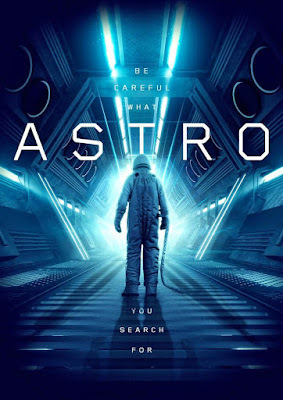 Astro tells the story of a billionaire's private space exploration program returning to Earth with an abducted extraterrestrial from a newly discovered alien planet. It was written by Asif Akbar and Bernard Selling, directed by Akbar, and stars Gary Daniels (The Expendables), Dominique Swain (Boone: The Bounty Hunter), Marshal Hilton (Primal Rage), Louis Mandylor, Max Wasa, Omi Vaidya, Luke G. Crosby, Orson Chaplin, Gianni Capaldi, Spice Williams-Crosby, Courtney Akbar, Christopher Showerman and Michael Pare. Up and coming actress Courtney Akbar talks about playing the female lead in the new science-fiction Astro - a science-fiction story of a billionaire's private space exploration program returning to Earth with an abducted extra-terrestrial from a newly discovered alien planet - which arrives on DVD June 5th. You can read our review here. TMS: In your opinion, what makes a good movie and what doesn’t? CA: A good movie has a story that leaves you thinking after you finish watching it, maybe it made you cry or laugh obnoxiously but you take something from it. Any movie that doesn't make you feel for the characters or just makes you feel like you wasted your time would not be a good movie for me. TMS: And do you generally know what’ll make a good movie from the outset – as soon as you pick up the script? 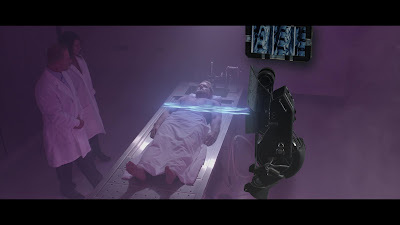 CA: Generally speaking yes, but what most people don't understand is that there are so many changes made to the script during shooting or even in the editing room that it's never the same on screen as it was on paper. TMS: And what do you think the strengths of, say, Astro are? CA: The uniqueness of the storyline along with the characters and their relationships. There's so many remakes of everything today that it's refreshing to see originality. Astro flirts with many real life instances in a way that's not too pushy or farfetched. TMS: It’s hard to make a movie these days, but where do you think this one excels in its originality? CA: I would have to say in the way it combines real life events with the imagination to take you out of this world. 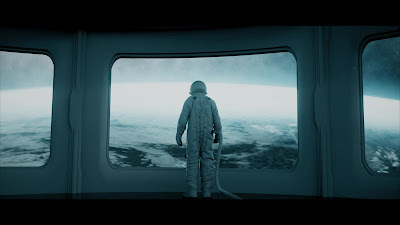 A lot of people think that if there are extraterrestrials in this universe they'd have to be far superior to us and in Astro it make's you think of the possibility that maybe there could be some lifeforms out there that are not so much more advanced than we are, and perhaps one day they could be the victims of our wrong doings. TMS: Is there a moment in it that you, as a movie fan, especially enjoy? CA: I really thought that Subject A looked fantastic and very realistic. I really enjoy the final fight in the movie as it's one to remember. TMS: Do you find that, when working on a heavier movie like this that it affects your mood - - and that mood stays with you at the end of the day? CA: Yes of course, and not just to the end of the day but for the rest of your life. When you become so involved with your character and the people you work with, spending months studying and training, they really are a part of you and it's not always easy to turn that off. TMS: Were you working on any other projects at the same time as this one? CA: I was not. When taking on larger projects I don't like to stretch myself thin because I feel like I am not giving my all to one. TMS: Where does this one rank in terms of your projects? Is it up there as a favorite? CA: Yes! With this film particularly there were a lot of close friends that I have worked with before that were able to be a part of this and every one really felt like family by the end of the shoot, even all of the sweet locals living in New Mexico that we didn't know before. TMS: How was it working with Asif professionally? CA: I am truly blessed! Being happily married to your best friend is rare enough so to be able to share your passions and be able to work comfortably together also is really incredible. I am his number one fan and look up to him so to be able to support him and be along side him is indescribable. This was not our first project together and it will certainly not be the last!